The Virginia Bloggers Club. DC, MD, VA event promotions. 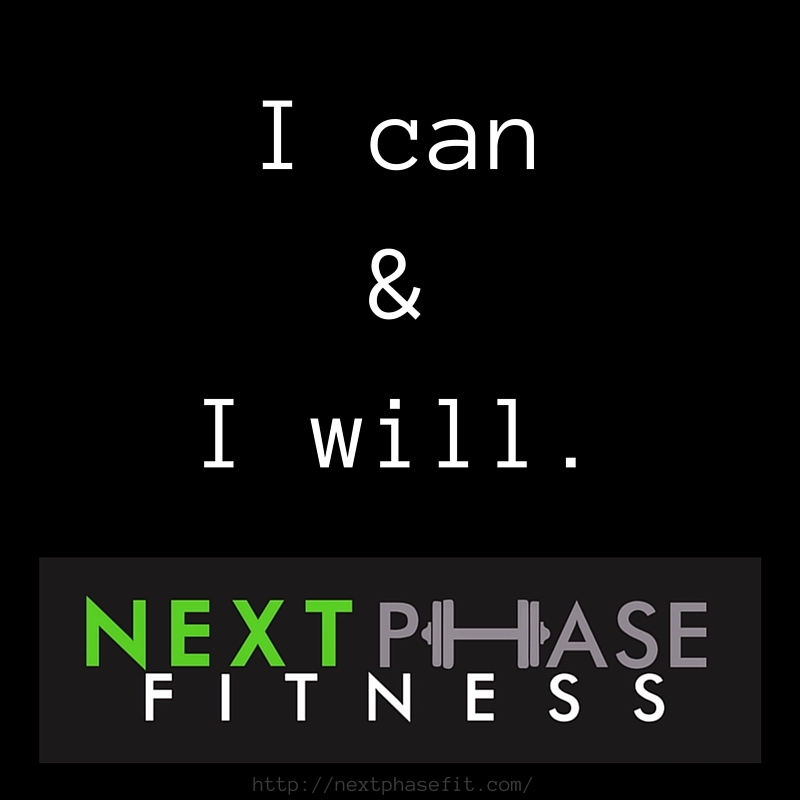 : Next Phase Fitness "Grand Opening"
Next Phase Fitness is the next phase for your health and well being! Are you looking for a community fitness studio? Are you looking for personal trainers that will guide you through fresh and personally tailored workouts? Are you looking for that extra motivation in a group workout setting? Well folks, you have arrived! 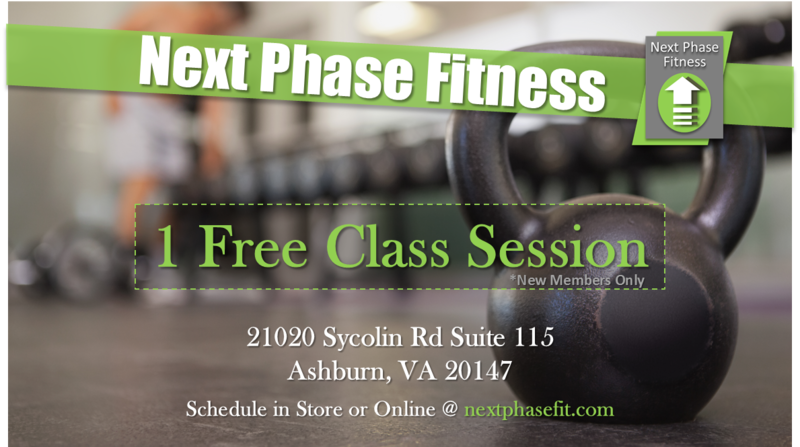 Next Phase Fitness boasts 60 minute fitness classes that accommodate all fitness levels and are based on exercise science! Think "group" personal training without the premium personal training prices. 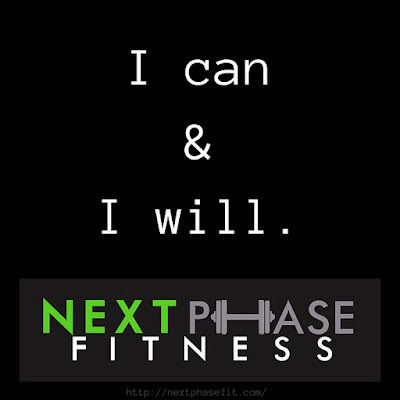 No matter what your fitness level currently is, Next Phase Fitness can take you to the next level! Next Phase Fitness is owned by two hometown boys: Doug and Daniel Frantzen. These brothers are truly passionate about fitness, healthy living, and the science behind it all! Daniel is an active Army reservist and thus, they are a pro-military workout atmosphere. They hire military vets and incorporate military inspired training into their classes. I already spotted a personal trainer from their personal trainer lineup that I already know! He has earned the reputation as "The Preacher" for his positive motivational talks during workouts. Good staff is the key to happy clients and "The Preacher" is an incredible motivational trainer. Ready to check out the facilities? Next Phase Fitness is having a Grand Opening event on September 19th. This event is open to everyone(that means you)! 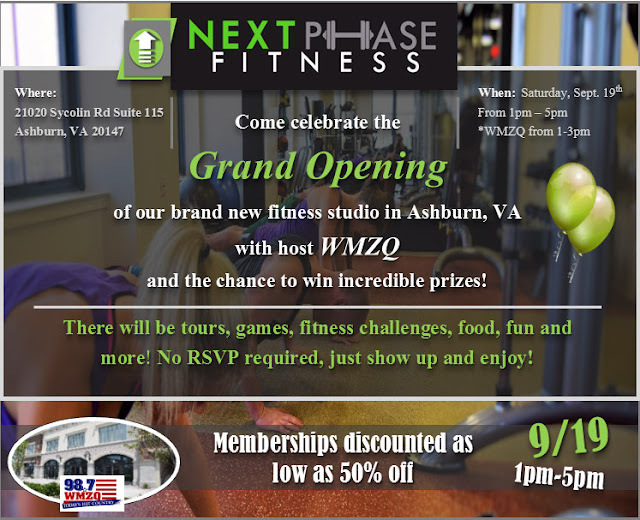 98.7 WMZQ will be on location to host the Next Phase Fitness "Grand Opening" event and will be giving away some Fall Fest tickets. No classes will be held during the event, but there will be plenty of action to include tours, fitness challenges, games, food, and many vendors on site. Next Phase Fitness will also be giving away some "top secret" prizes of their own! You do not want to miss this special Grand Opening event September 19th from 1pm to 5pm. Like all that? Of course you do! It is time to sign up for a pre-sale membership packages discounted as low as 50% off. Pre-sale discounts offer two primary options. You can get 15% off for life as a founding member or 50% off the 1st month. Next Phase Fitness also offers 15% off their session packages during the pre-sale period prior to September 19th. Classes officially start September 20th, so lock in those pre-sale savings right now! Also, please note Next Phase Fitness has no contracts. You are free to book sessions as you please. You can purchase single sessions, multiple sessions, or month-to-month packages. This is all about you, your fitness, and your schedule! See that photo below? That's right, one free session is coming your way! What do you have to lose....better yet, what do you have to gain?